Abstract: The Canton Fair is touted as the largest trade show in China, which attracts over ten thousand of exhibitors and roughly millions visitors from the globe. Airwheel took part in the international fair on 15 Apr at booth 144, Hall 12.1. The products left a deep impression on the visitors, especially the battery powered chair and electric assist urban bike. Airwheel mars rovers fared well in the just concluded Canton Fair. 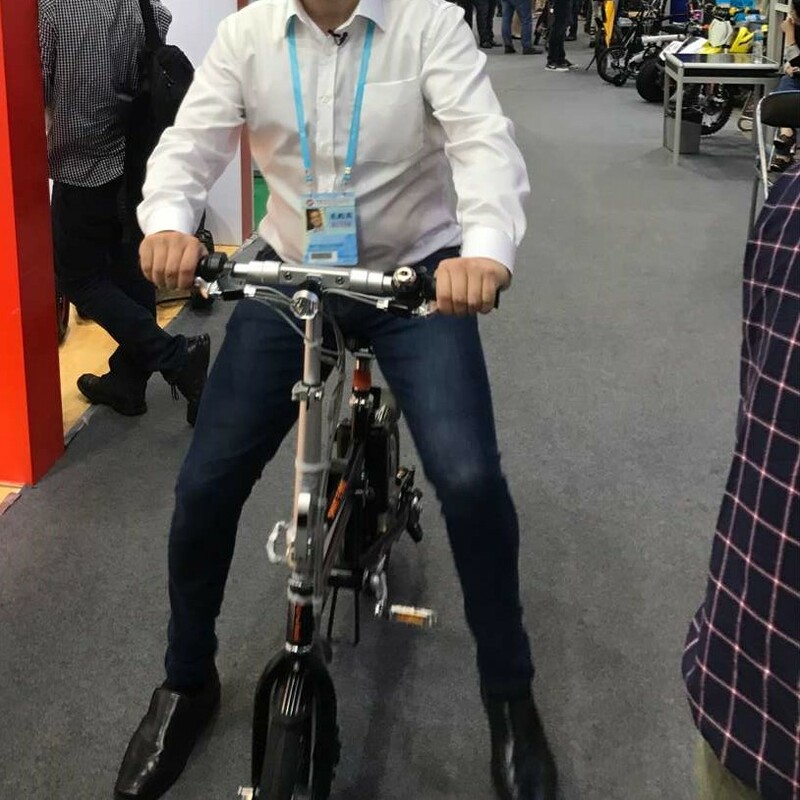 A good many visitors thought highly of these excellent electric scooters and a batch of supplier-seekers intended to embark upon co-operation with Airwheel. In Canton Fair, Airwheel new products were eye-catching a great deal. Airwheel S8MINI is one of these new products, smaller and lighter. S8MINI is without shaft, which makes it give a better view to user. The dual mode of ride is main draw. Once S8MINI two wheel saddle-equipped scooter user feels fatigued because of a long trip, he could elect to sit on the saddle. The dual mode of ride of S8MINI creates a revolutionary way to ride Airwheel self-balancing scooter. Thereby it came under spotlight during the exhibition. Besides, it is powered by electricity, so it neither uses fuel nor emits exhaust gas. In addition, Airwheel showed its wearable equipment, i.e. Airwheel C6 and C8 cool motorcycle helmets. The two helmets are used for protection during the ride. What’s more, Airwheel adds more recreational function to them. Wearing them, the users can listen to music, shoot video and answer phone calls. This wearable equipment represents a sign that Airwheel is trying to transforming itself, in an attempt to focus on more fields. Airwheel R5 electric assist bike was one of the favourites. The two-wheel large structure made R5 more stable and easier to steer making it is able to cover any terrain, depending on such high quality jumbo tyres. R5 is featured by multiple riding styles, referring to man-powered, power-assisted and electricity-assisted styles that are great breakthroughs made by Airwheel design team and makes R5 unique. Another breakthrough product is Airwheel battery powered chair, featuring remote control and one key to fold. Users can fold it automatically making it convenient to store. To learn more about Airwheel smart wheelchair, please do not hesitate to contact us now. Previous：Would You Like To Have A Portable Electric Bike?